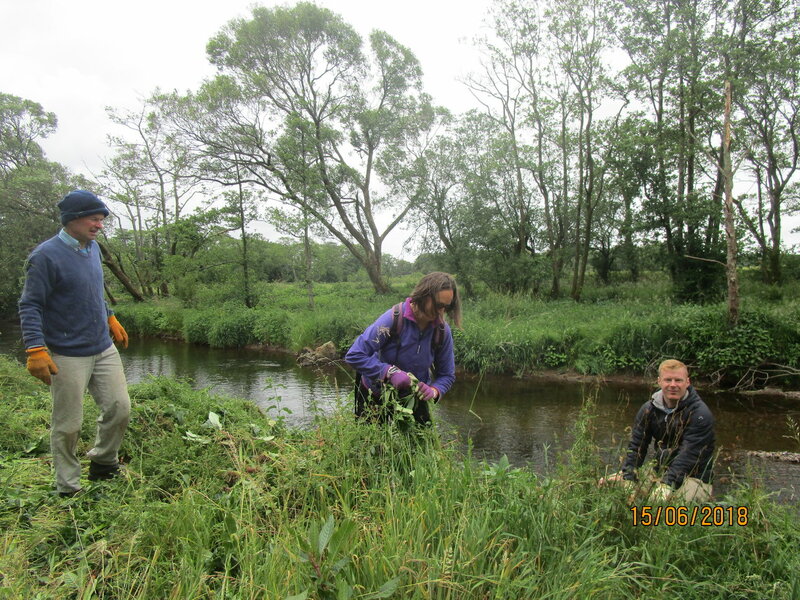 A working party of volunteers helped West Cumbria Rivers Trust to remove an invasive plant threatening native wildlife and plants from the banks of the river Irt. Himalayan Balsam is a non-native invasive plant that grows in wet places. It is quick-growing and has explosive seed pods which means it can easily take over large areas so that other native plants cannot grow. In the winter it dies back and leaves river banks bare of cover. It has limited roots to hold onto the soil meaning that where it dominates the banksides in the summer, in winter there is an increased risk of soil loss. When soil washes into rivers it covers over areas of clean gravel where salmon and trout like to lay their eggs. It can also smother freshwater pearl mussels. West Cumbria Rivers Trust has been working on the River Irt because of its importance for the freshwater pearl mussel which needs salmon and trout as part of its lifecycle. 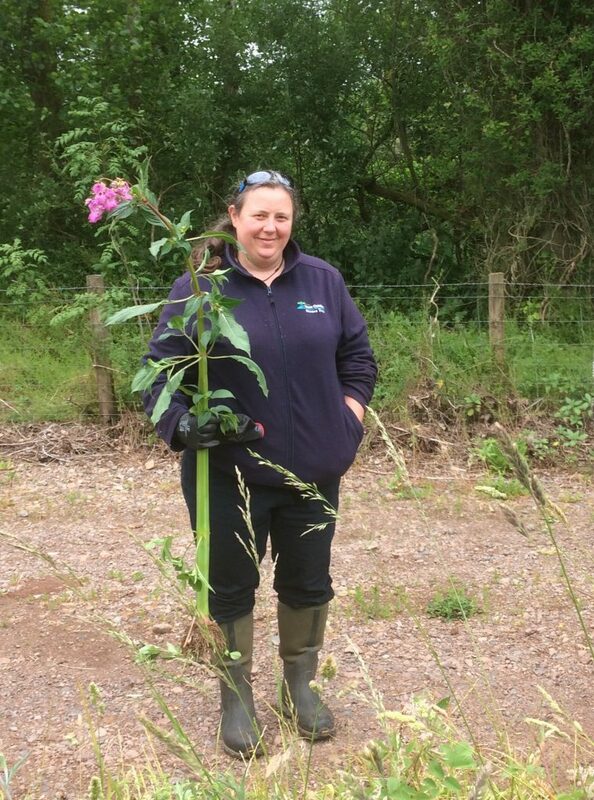 Rebecca Neal, Education Officer for West Cumbria Rivers Trust, said: “We are working with farmers to help stabilise river banks, stop livestock poaching, and have been tackling Himalayan Balsam from the top of the catchment downwards. It is unlikely that this plant will ever be eradicated, but we are committed to keeping numbers under control. The plant is easy to identify and easy to remove by hand. Through Cumbria Exchange a student group on the Pathways Course at Lakes College signed up and joined other volunteers to pull the weed from a section of the river. We also talked about other aspects of looking after the countryside, and were lucky enough to see Sand Martins and the skin of a dragon fly larvae. 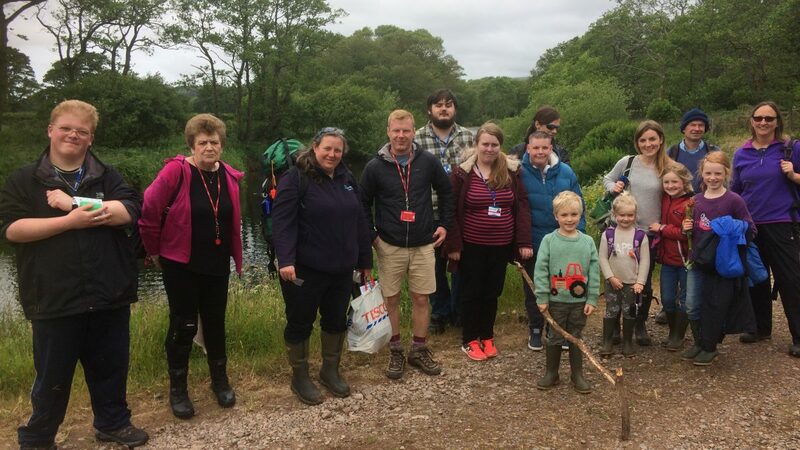 “Cumbria Exchange provided further resources and an opportunity to the students to engage with other adults while learning about and helping the environment. My post is funded by Copeland Community Fund, United Utilities, Biffa Award and Nugen. However, Cumbria Exchange is a good platform for reaching different people in the area – and getting new support to help rivers. We were also able to help the students by providing a good atmosphere to talk to people they wouldn’t necessarily do otherwise and providing an insight into local wildlife and rivers”. Almost 20 people formed the working party including the students and tutors from Lakes College, a University zoology student, a retired Sellafield employee, the business connector for West Cumbria, and a home educating family.